Every ticket will unlock a $20 voucher for Fusion 6/Metro Indian restaurants voucher and Free small coffee at Muffin Break Harrisdale or Belmont. DOORS OPEN AT 5:00 PM, Food & drinks available for purchase. Come and have a drink with us. Premier Tickets is an online event marketing and ticketing agency. 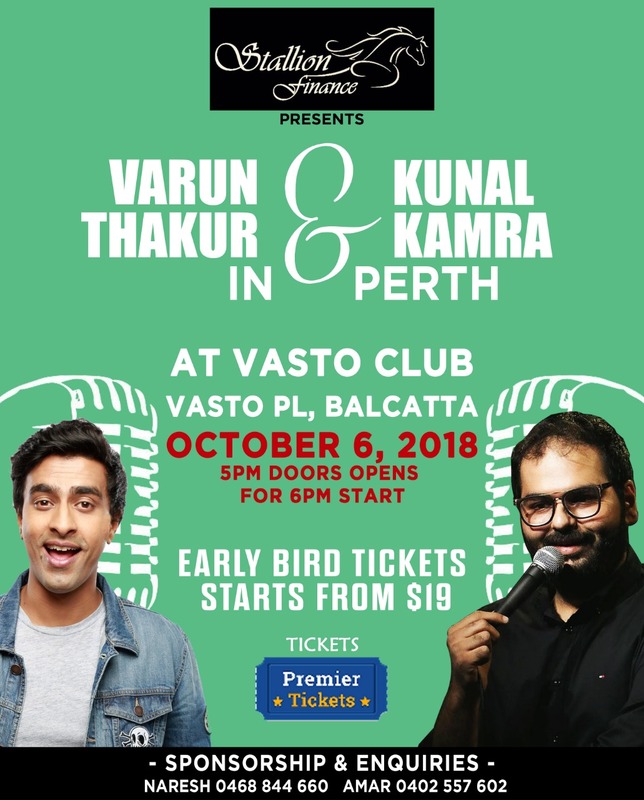 Premier Tickets will NOT be responsible for any changes related to the event schedule, artist, venue or cancellation and refunds related to the tickets for Stand Up Comedy by Varun Thakur & Kunal Kamra Live in Perth.